More people are accessing the internet with their mobile phones now than ever. Is your website prepared? Learn about mobile optimization and why it matters when considering your website design. Did you know that 60 percent of small businesses don't have a mobile-optimized website? That means that the majority of small businesses are not prepared for how people use the internet. With the increasing number of mobile users, mobile optimization needs to be an essential part of your website design. 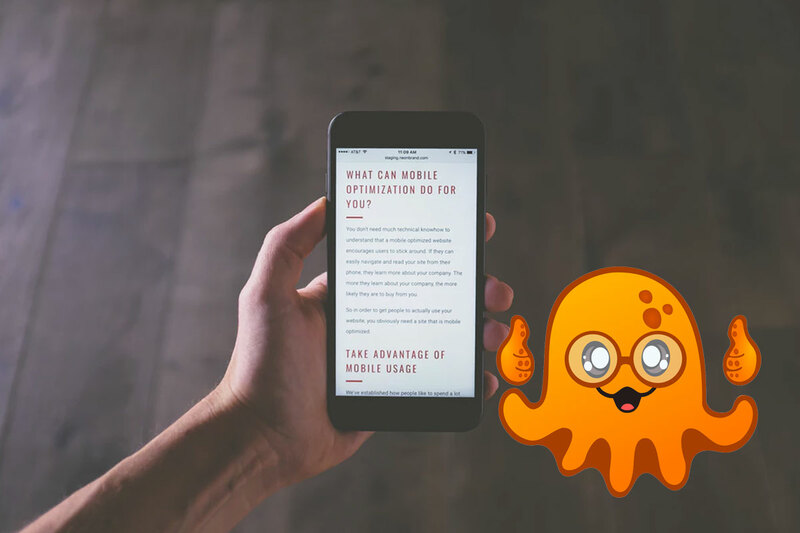 Keep reading to find out more about why you need a mobile-friendly website. Do you know anyone who doesn't have a smartphone? In two decades, our lives have been transformed by our smartphones. Checking our smartphones is the first thing we do when we wake up and the last thing we do before we go to sleep. Over 5 billion people in the world have smartphones. Over a third of which regularly access the internet using their smartphone. If someone is using the internet, they're likely to access the web with a smartphone. The number of people using smartphones to access the internet is only going to continue as our lives become even more immersed in technology. You need to always be on the lookout for different ways of generating traffic and driving up the number of hits to your website. Since 2015, the number of Google searches via mobile devices exceeded the number of people using desktop and laptop computers. That means that you could be missing out on over half of your target audience because you don't have a mobile-optimized website. According to market research, 74 percent of mobile device users wouldn't return to a website that isn't mobile-friendly. If you do not provide a mobile-friendly experience for users, they'll quickly get frustrated, leave and never return to your website. Many people who access the internet via mobile devices also use desktop and laptop computers. Few people realize that the behavior of users changes according to the device they're using to access the internet. For example, mobile device users often consume a high amount of visual media, such as Youtube videos. As a result, social media websites, such as Instagram and Vine have gained a huge following. That's why it's important to make sure you provide mobile device users with the kind of content that appeals to them. Make sure you've got a mobile optimized web design that pulls in your target audience. Did you know that mobile device users are more likely to make purchases than desktop users? Even though, mobile device users spend less per transaction. They spend "a little, a lot" on stuff on the internet. That's why if you're selling products or services for $10 or less, it's important to concentrate your marketing efforts on this audience. However, it's also important to be aware that tablet users spend the most per transaction of all devices. This means that optimizing your web design for mobile device users benefits you whatever product you're selling. Research shows that people switch devices up to 21 times every hour. It's important to keep this in mind when you're designing your website. The source of your conversions doesn't necessarily tell you everything about how people access your website. Many people might browse your website on their mobile devices before switching to a desktop to make a purchase. It's essential that your website can allow for screen switching without compromising on the quality of the experience. The landing page on your website is where you make conversions. But landing pages for mobile devices is different to desktop and laptop computers. Although most of the same principles apply, it's important to include specific strategies to boost the mobile experience for your users. Keep headlines to a minimum of 5-words. Don't go overboard with the design. Instead, keep it simple. Google also boosts the SEO ranking of websites with mobile-friendly designs. A mobile optimized website needs to be at the center of your SEO strategy. If you don't ensure your website provides a mobile-friendly experience for users, you'll be penalized by Google on the SERPs (search engine results pages). If you want to make sure your website shows up on Google's first results page, you can't afford to frustrate mobile users. Did you know that over 90 percent of internet use of mobile devices is for social media and messaging? Social media has become a significant part of our daily lives. It's important your company is engaging with your target audience on social media platforms. Social media is one of the biggest sources of traffic for your website. If people are finding you via social media, it's likely that they're accessing your site with a mobile device. If you don't have a mobile-friendly website, you could miss out on converting your target audience. Despite the importance of ensuring your company website has a mobile-friendly design. Many businesses have yet even to start thinking about the future. That's why you could show that your an early adopter of mobile-friendly designed websites. This could significantly boost your sales if your competitors have not transitioned to the reality of mobile device use. There are many ways to take advantage of the opportunity of building your brand and increasing revenue from advertising. Advertising spending on mobile ads is much lower compared with other online ads. That's why many businesses believe that there is an opportunity to increase mobile ad investment. You can no longer afford not to have a mobile responsive website. Mobile optimization has to be a center of your online marketing strategy. Always keep in mind our ten reasons why you need a mobile-friendly website. Are you looking for help with designing your website? Get in touch with us for our help!